Home Business Finance Is the 2018 UK Budget Helping First-Time Buyers? The UK’s autumn Budget 2018 was announced recently, with a series of changes brought in across the board. These changes are set to shape household finances across the country, with projected timeframes for some stretching ahead to 2023. When it comes to housing and helping first-time buyers in particular, this Budget has implications for those who are planning on making the leap from rental properties to having a mortgage to pay off. If you are hoping to buy your first home soon, here is all you need to know about what is in store. The Help to Buy First scheme has been extended by two years to March 2023. 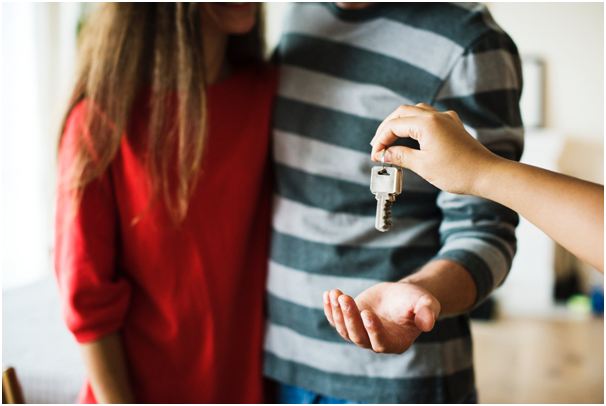 It was originally due to come to an end in April 2021, so more homeowners-to-be can start planning further into the future, and more people have a chance to save for the deposit. Plus, house builders can plan ahead so that there are more homes available to accommodate buyers. First introduced in 2013, the Help to Buy Equity Loan scheme sees the Government lend buyers between 20% and 40% of the cost of a new house that is worth up to £600,000. By signing up to the scheme, buyers need a smaller deposit. It also means the mortgage is cheaper. Property experts such as those at Andrews can talk you through your options. As well as the extension of Help to Buy, the Budget also saw the announcement of a cut to stamp duty for first-time buyers. This cut in the property tax applies to buyers of shared-ownership homes in England and Northern Ireland that are worth up to £500,000. This has been backdated, so it will also apply to anyone who bought a property like this since the last Budget, therefore anyone who bought through shared ownership since 22nd November 2017 will receive a refund of the stamp duty that they paid. There are more than 200,000 shared ownership properties in the UK and this type of property opens up more possibilities for first-time buyers. One change that hasn’t been made in this Budget is to the Lifetime ISA scheme. Despite facing criticism for being complex, and even calls for it to be abolished, the scheme is still in place. The Chancellor has only stated that there is a £20,000 subscription limit for adult ISAs and that the Junior Isa and Child Trust Fund will see increases in the annual subscription limit. The Lifetime ISA was introduced in April 2017 and offered a 25% government bonus to younger people saving for retirement or first-time buyers saving for their deposit. There are three cash Lifetime ISAs available, although it is mostly available in the form of stocks and shares. Are you a first-time buyer in the UK? What do you make of the changes announced in the Budget?